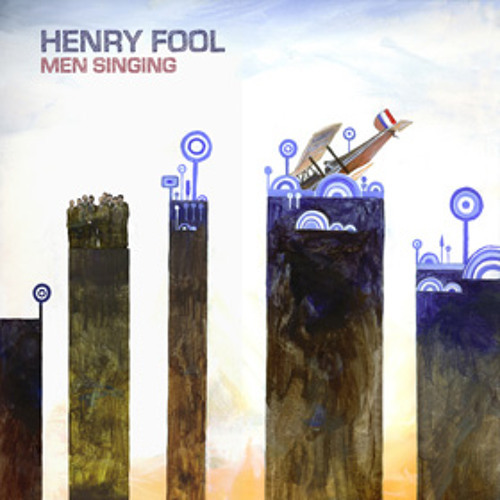 "Men Singing album sampler (Everyone In Sweden part 1, Everyone In Sweden Part 5, Chic Hippo part 1)" Henry Fool - 'Men Singing' Produced and arranged by Stephen Bennett and Tim Bowness. Mixed in November 2012 by Jarrod Gosling. Recorded by Paul Wright, Stephen Bennett and Jarrod Gosling in The Music Room, Lenwade, Chaos Studios, Norwich and Pig View, Sheffield between October 2006 and November 2012. Mastered in December 2012 by Andy Jackson Additional recording in August 2012 by Phil Manzanera at The Gallery Studio, London. Cover art and layout by Jarrod Gosling Everyone In Sweden (Bearpark, Bennett, Booker, Bowness, Chilvers, Clifford, Manzanera) Michael Bearpark - Circular Riff/Solo/Glissando Guitars Stephen Bennett - Lots Of Keyboards, One Grand Guitar Solo, Some Distorted Bass Andrew Booker - Drums Tim Bowness - Chord/Arpeggio/Tremolo Guitars Peter Chilvers - Bass Myke Clifford - Saxophone, Flute Jarrod Gosling - Mellotron M400, Glockenspiel, Bass Synthesizer Phil Manzanera - Solo/Harmonics/Looped Guitars Man Singing (Bennett, Bowness) Michael Bearpark - Solo Guitar Stephen Bennett - Keyboards Andrew Booker - Drums Tim Bowness - Chord/Arpeggio Guitar Peter Chilvers - Bass Myke Clifford - Saxophone, Flute Jarrod Gosling - Mellotron M400, Glockenspiel, Solina string synth Phil Manzanera - Solo 'Squawk' Guitar, Rhythmic 'Clunk' Guitar My Favourite Zombie Dream (Bennett, Bowness, Chilvers) Stephen Bennett - Keyboards Tim Bowness - Guitar Andrew Booker - Drums Peter Chilvers - Bass (treated by Michael Bearpark) Jarrod Gosling - Mellotron M400 Chic Hippo (Bearpark, Bennett, Booker, Bowness, Chilvers, Clifford) Michael Bearpark - Solo/Slide Guitars Stephen Bennett - Keyboards, Miles Davis, Mavis Riley and Terry Riley impressions Steve Bingham - Violin Tim Bowness - Distorted/Chord/Arpeggio Guitars Andrew Booker - Drums Peter Chilvers - Bass Myke Clifford - Saxophone, Flute Jarrod Gosling - Mellotron M400 'Men Singing' will be released March 11th 2013 on the Kscope label as a limited edition cd in vinyl replica artwork, a standard cd and an LP. Wonderful sampler tracks! Love the stringarrangements in the last piece. I follow Henry Fool since the 2001 album with 'Heartattack' and 'Poppy-Q'. Another album comming up is great news!